This time I decided to go with some red polish. Again. 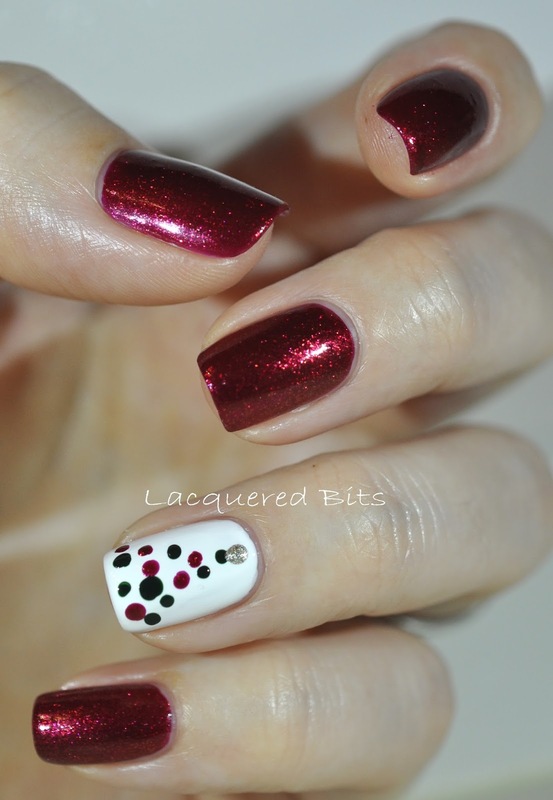 Well, the Christmas is coming so I’m allowed to do that :P. And to spice it up a little I decided to do accent nail. 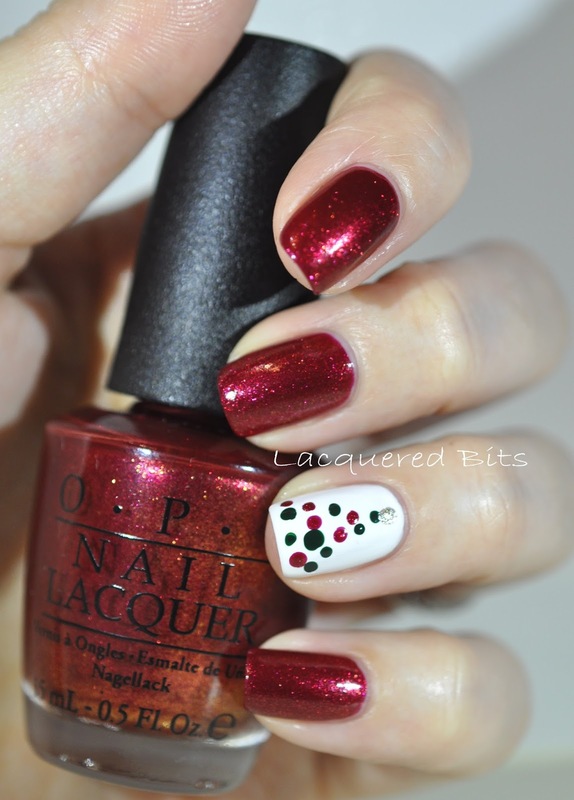 The red colour was O.P.I – Red Fingers & Mistletoes. And the base for accent nail was Essie – Blanc. 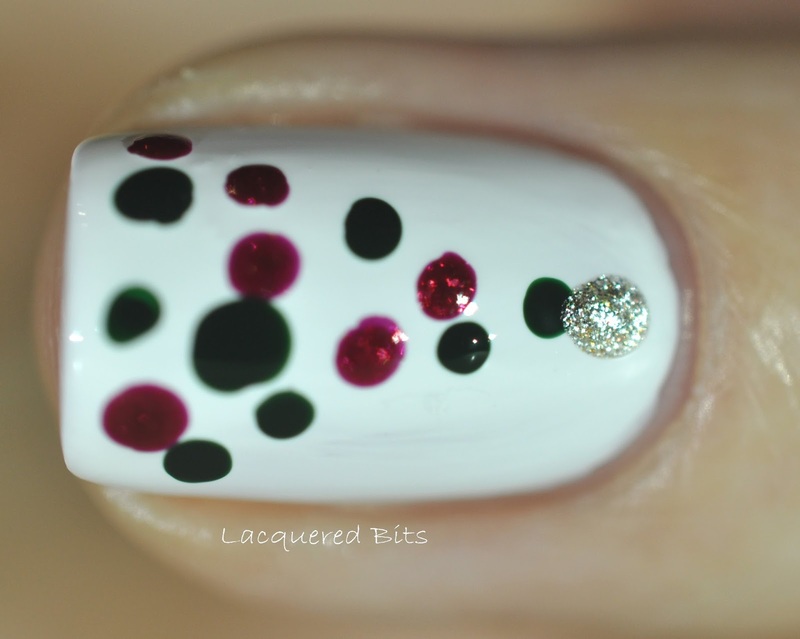 On ring finger I decided to do a Christmas Tree. I’ve never done it before, so I was hoping it will look good. I used a dotting tool. 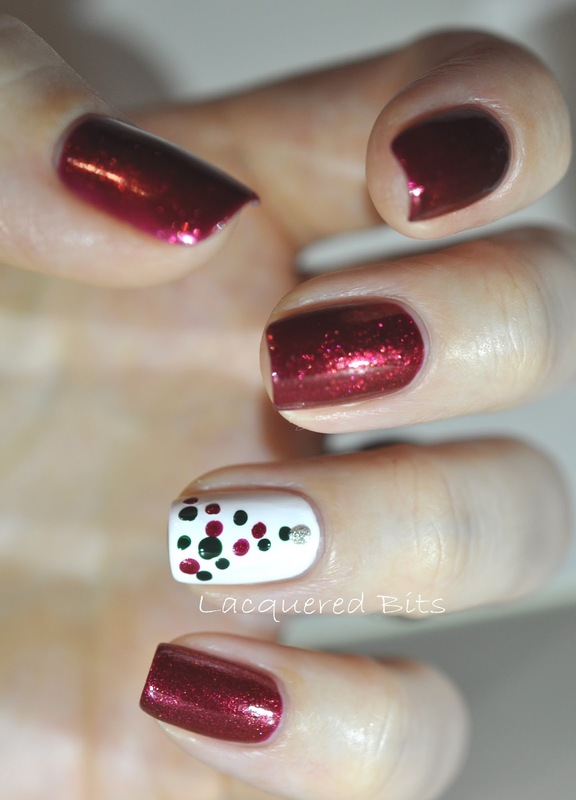 And the colours I used for the Tree were: the green O.P.I – Christmas Gone Plaid, the red was the same as on all other nails and to top the Tree I used Essie – Jiggle Hi Jiggle Low. And of course to show you the close up of the main colour. It is beautiful. Full of red and I think gold shimmer too. You can see the gold shimmer in my second photo, in the bottle. But on the nails I don’t see it. 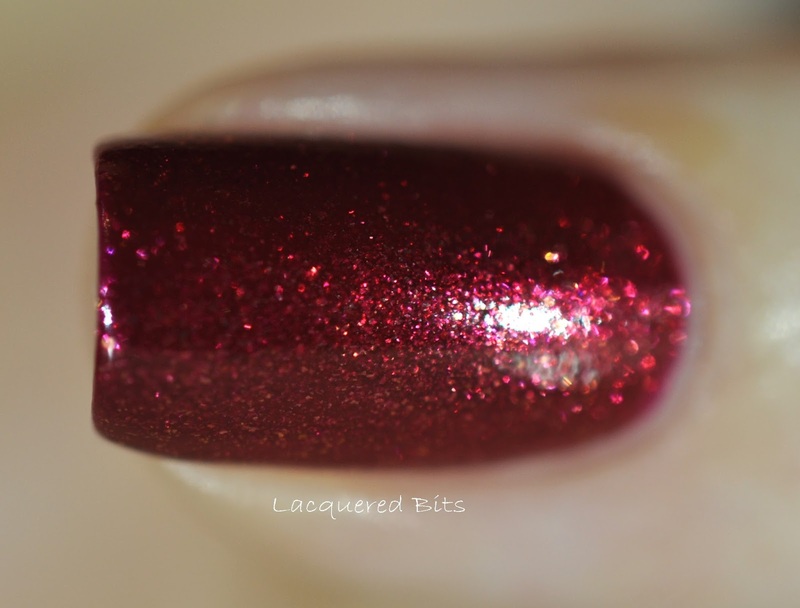 If you don’t have that kind of polish in your stash, then you should definitely buy this one. It was easy to apply and to work with. 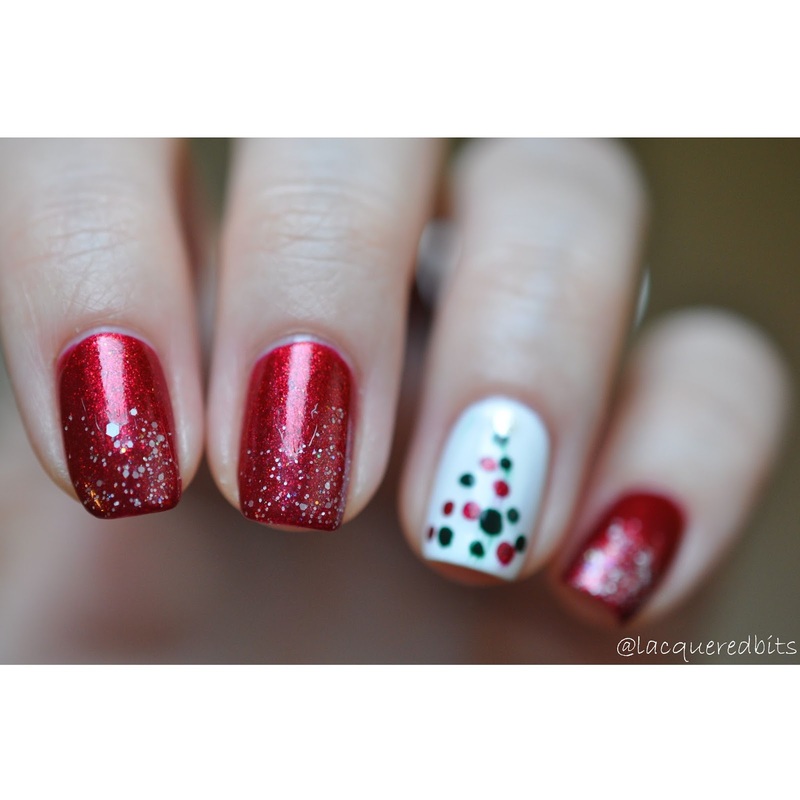 Are you getting your manis ready for the Holidays? Edit: Just added some snow on my nails 🙂 I think it’s better now.